Dionysis is an amazing host and truly impressed us with his attention to detail with everything in the villa as well as with hosting us there. The fridge and pantry were completely stocked up and freshly brewed coffee was ready when we checked in. The villa is gorgeous and located in a quiet neighborhood but at the same time close to a grocery store, cafe, fresh produce market as well as Old Town and all major attractions. I loved the location, the property owner waited for us at the location, our refrigerator was full with fruits, vegetables, cheese, drinks, bread, coffee machine and everything we needed was there, he helps us with restaurants, every email I have sent to the owner was answered quickly. Everything! Beautiful interior, beautiful exterior, mix of old charm and new comfort, wonderful welcome with fresh coffee waiting and food and drinks in the fridge. Lots of space and best outfitted kitchen of any apartment I have stayed at. Bikes included as well as nice soaps. Close to center but easy parking. Dionysis is a super host. He is responsive and helpful. He ensures that your stay is comfortable and smooth. The home is clean and very well-serviced! We were very happy with the villa location and amenities close by, the authentic decor, the cleanliness and daily service offered, the little extras in the food and wine supplied, in fact we loved the whole experience! Dionysus and staff gave exceptional service!! 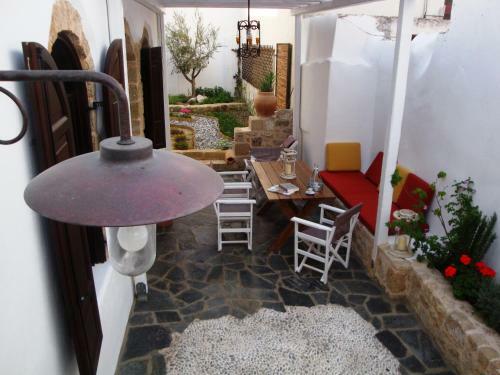 Absolutely beautiful lovingly restored villa, gorgeous decor and all facilities you can think of! Dionysis was an exceptional host, can’t wait to come back! Dionysis was a wonderful host and quite rightly proud of his beautiful villa. Amazing attention to detail with the accommodation and so many little touches which helped make our stay so memorable. 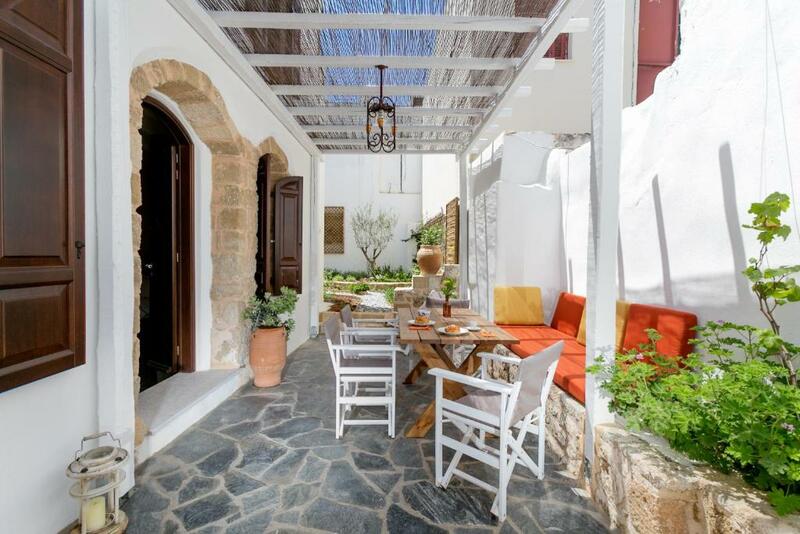 Perfect location just outside the medieval city wall; very close to harbour for trips to Symi and very near good restaurants, supermarket, fresh produce shop, patisserie and cafe. Couldn't have wished for anything better. We didnt have a car but easy parking right outside. Thank you. Excellent experience from the beginning to the end. We cannot wait to comeback and enjoy the hospitality and the charm of this place and the host. The Villa and its decor are absolutely stunning. Our host was excellent to communicate with, very flexible with check in and extremely thoughtful and generous. The house was filled with so much yummy food and the house was cleaned to perfection daily. This was the best value accommodation throughout our stay in Europe. We spent many lovely morning breakfasts and evenings in the stunning courtyard. The most incredible stay!!! Lock in a great price for Villa dei Ciottoli – rated 10 by recent guests! One of our best sellers in Rhodes! 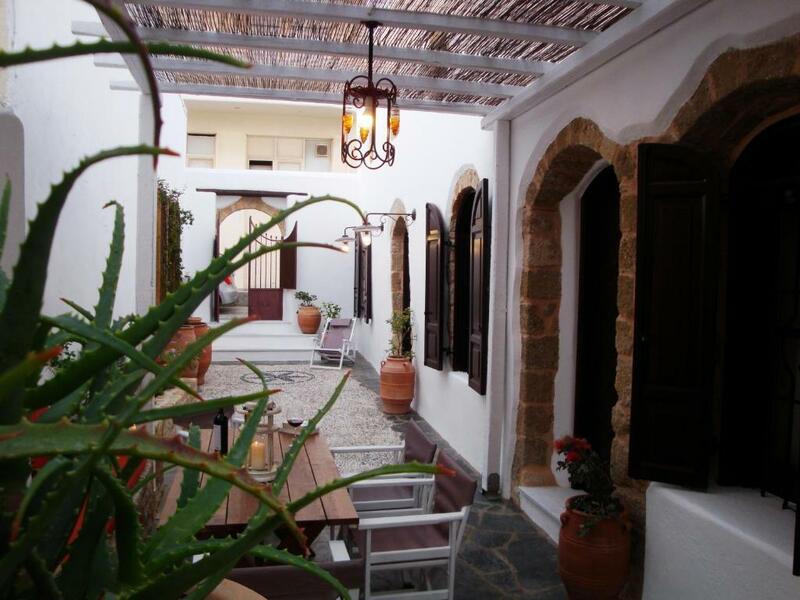 Located 1.6 miles from Clock Tower in Rhodes, Villa dei Ciottoli offers accommodations with a kitchen. The Mandraki Port and the Grand Master's Palace are within 1.8 miles and 2.1 miles of the villa, and free WiFi is provided. 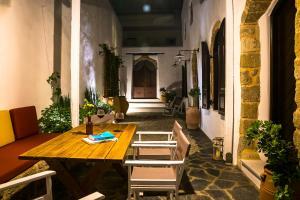 This villa will provide guests with 2 bedrooms, a flat-screen TV and air conditioning. The Street of Knights is 2.1 miles from the villa. Diagoras Airport is 10 miles away. 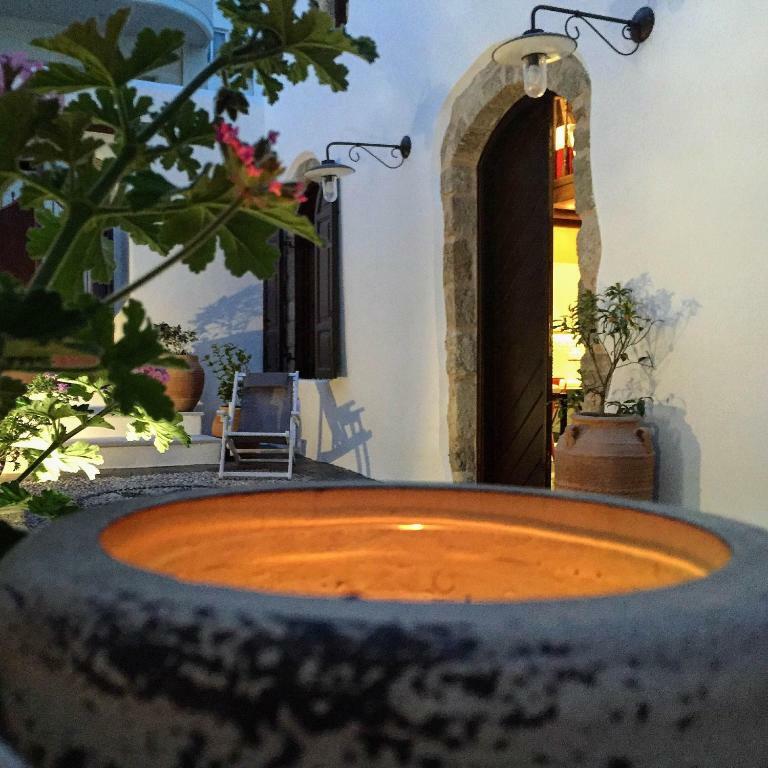 When would you like to stay at Villa dei Ciottoli? This villa has a stovetop, toaster and kitchen. Η “Villa dei Ciottoli” είναι πλήρως εξοπλισμένη για να καλύψει όλες τις ανάγκες σας (Wi-Fi, δορυφορική τηλεόραση, κουζίνα, πλυντήριο, στεγνωτήρα μαλλιών κ.α.) ενώ η φιλόξενη υποδοχή των ιδιοκτητών με παραδοσιακά προϊόντα θα φροντίσει να κάνει τη διαμονή σας μια αξέχαστη εμπειρία φροντίζοντας την κάθε λεπτομέρεια. Μου αρέσει η γνωριμία με ανθρώπους και τόπους. Λατρεύω τα ταξίδια. Η “Villa dei Ciottoli”, υπερβαίνοντας τη στενή έννοια της πολυτέλειας και ακολουθώντας τα ίχνη μιας παραδοσιακής κατοικίας, βρίσκεται σε ένα από τα «μαράσια» (μικροί οικισμοί εκτός της μεσαιωνικής πόλης από την περίοδο της Τουρκοκρατίας) της πόλης της Ρόδου. Βρίσκεται σε ιδανικό σημείο, σε πολύ κοντινή απόσταση από τη Μεσαιωνική Πόλη, τη «νέα μαρίνα», το λιμάνι, σούπερ μάρκετ, εστιατόρια και μπαρ. Το Διεθνές αεροδρόμιο «Διαγόρας» της Ρόδου απέχει 16 χλμ. House Rules Villa dei Ciottoli takes special requests – add in the next step! Villa dei Ciottoli accepts these cards and reserves the right to temporarily hold an amount prior to arrival. Please inform Villa dei Ciottoli of your expected arrival time in advance. You can use the Special Requests box when booking, or contact the property directly using the contact details in your confirmation. The stairs a bit steep to the second level and under the clothesline a small garden which was hard to avoid when hanging clothes. Couldn’t think of anything we didn’t like - it was perfect. We loved everything! This was the perfect place to stay in Rhodes and we couldn’t have wished for anything more. * quiet neighbourhood, close to everything * supermarkets, cafes and restaurants in the same block. We recommend the Finn cafe around the corner and the little souvlaki place next door. * just a short walk to the old city & beaches. Basically, we walked everywhere and it was easy. * the villa was beautifully decorated and very clean * there was a lovely courtyard to relax in * the villa had everything we could possibly want and everything was very comfortable * the owner, Dionysis, was next level hospitable! He let us check in early, met us at the property, stocked the fridge with goodies and made himself available for our whole stay. He even found a mobile phone charger we’d left behind and brought it to us after check-out. Super-nice host! * Mimosa, the cleaner, came every day to tidy up and helped us with the washing machine and whatever we needed. Again, a super-nice person. NOTHING! Didn't expect such high quality accommodation, hospitality and easy access into the medieval city of Rhodes. In fact, everything was great. The configuration of the house is very interesting. It is coosy and trendy together. Fully equiped, warm welcome. Well, close to the perfect stop in Rhodes.